But its historic impact can’t be ignored. As part of the massive federal plan to conquer the Missouri River, the Pick-Sloan Flood Control Act of 1944 was justified by wartime conditions–it would create new sources of hydroelectric power–but actual construction did not get underway until the later 1940s and 1950s. Historians have studied the act’s disastrous impact on Native American tribal lands in the west, and the environmental consequences of building some 50 dams on the Missouri and its various tributaries. 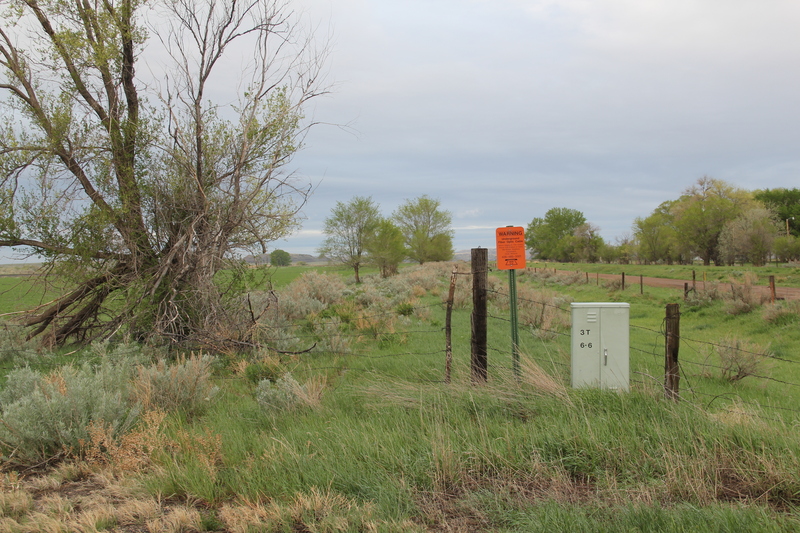 For Lewis and Clark County and Broadwater County, you can see the relationship between the dammed Missouri and irrigation, as shown above along Montana Highway 284, and you can find remnants of how the project displaced towns, landmarks, and people along the length of the river. No longer was the Missouri the river that the Corps of Discovery had traversed at the beginning of the 19th century. St. Joseph Catholic Church, perched now on a barren bluff facing the lake, was moved about 2.5 miles east to its present location in 1954. Originally near the river in what was then known as the Canton Valley settlement, the church building is one of the state’s oldest, dating to 1874-1875 and is listed in the National Register of Historic Places. The proud Gothic styled church is the remnant of one of the valley’s earliest settlements. Not far from the church is another remnant of the early 20th century settlement boom during the early 20th century homesteading era after the creation of the county in 1897. 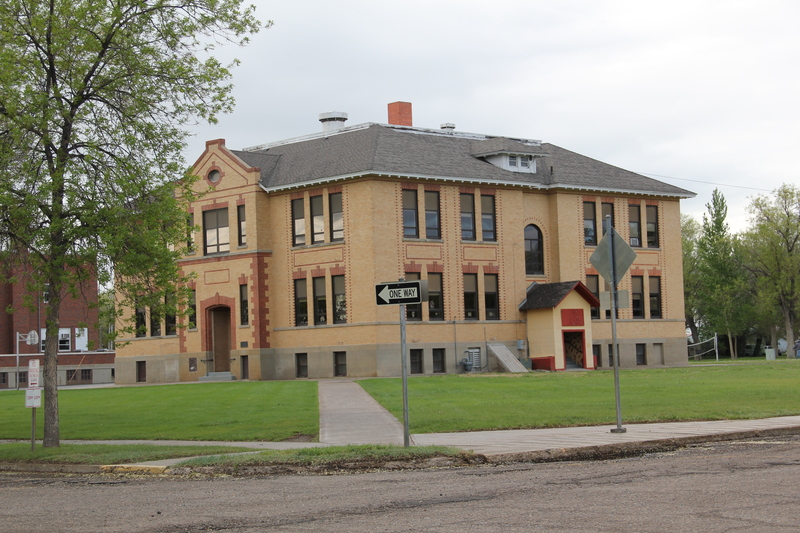 Located along Montana Highway 284 this one-room school is typical of the type found throughout the state from 100 years ago, as adaptive by communities and school boards with the small gable-end extension creating storage space and a barrier between the cold winds of the outside and the inside of the classroom itself. These vernacular buildings and landscapes compare starkly with what the U.S. Corps of Engineers built at Canyon Ferry in the 1950s. It is a Colonial Revival styled federal village–an architectural choice wildly out of step with regional traditions, and a reminder to anyone that here was the federal government, in the midst of the Cold War, placing its imprint on the land. In 1984-1985 I ignored this new public landscape of a school, administrative building, work buildings, and village. Thirty years later, of course I see Canyon Ferry as a very distinct historic district, symbolic of the entire Pick-Sloan project and a significant example of an architectural aesthetic from the U.S. Corps of Engineers. The Canyon Ferry headquarters of the mid-1950s is not listed in the National Register but it could be–an evocative grouping of buildings that helps to document that 60 years we were assured and more than a bit arrogant in our power and mastery of technology. We were convinced hat as we controlled the world, we could also control nature. On this wintery day I return to Big Hole National Battlefield, one of the most solemn and sacred places in Big Sky Country, out of a request from a MTSU graduate student who is trying to come to grips with western battlefields and their interpretation. In 2013 I posted about the new visitor center museum exhibits at Big Hole, lauding them for taking the “whole story” approach that we have always attempted to take with our work in Tennessee through the Tennessee Civil War National Heritage Area. The Big Hole Battlefield exhibits, how at least 5 years old, do the whole story approach well, as you can see from the panel above where voices from the past and present give you the “straight talk” of the Nez Perce perspective. One of the most telling quotes on how the military viewed the original residents of the northern Rockies is not that of Sherman–damning enough–but the one above by General O.O. Howard, best known in the American South for his determination and leadership of the Freedman’s Bureau and its attempt to secure civil rights for the newly emancipated enslaved of the nation. The exhibit panels, together with a new set of exterior interpretive panels scattered across the battlefield, do an excellent job of allowing visitors to explore, reflect, and decide for themselves. The more comprehensive approach to telling the story is nothing really new. NPS historian Robert Utley called for it decades ago, and Marc Blackburn recently reviewed efforts across the country in his excellent book, Interpreting American Military History (2016). For the Big Hole itself, all scholars can benefit from Helen A. Keremedjiev’s ethnographic study of this park and other military sites in Montana in his now decade old master’s thesis at the University of Montana. Of course Big Hole Battlefield is now part of a larger thematic effort, the Nez Perce Historical Park, to mark and tell the story of Chief Joseph and his attempt to find a safe haven in land that once the tribe had dominated. 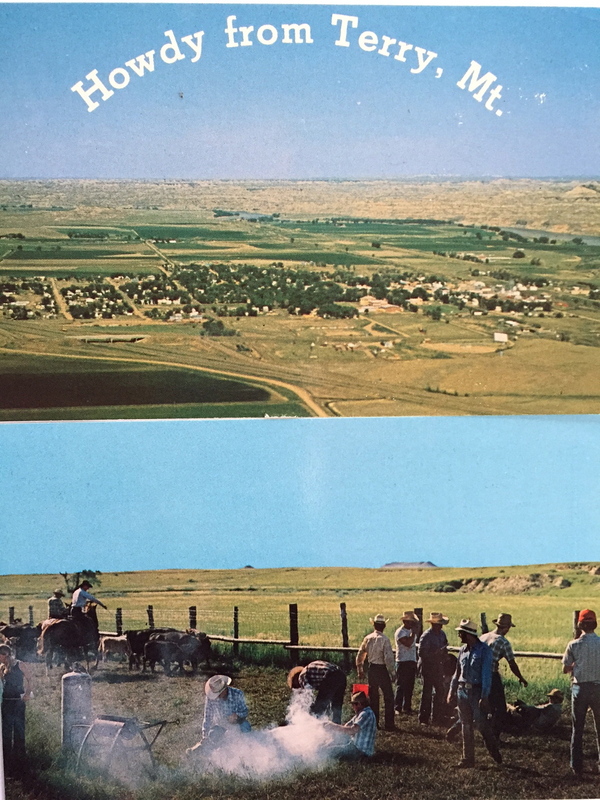 These few images, which, as many of you regular readers know, can be enlarged and viewed intently, only start the exploration–you really have to go to the Big Hole to understand what the events of 1877 meant to the new residents flooding the country and those who had lived and thrived there for centuries. Helena, the capitol city of Montana, was where I made my home from 1981 to 1985, and served as my base for travels far and wide across the state during my work for the Montana State Historic Preservation Office’s preservation plan in 1984-1985. 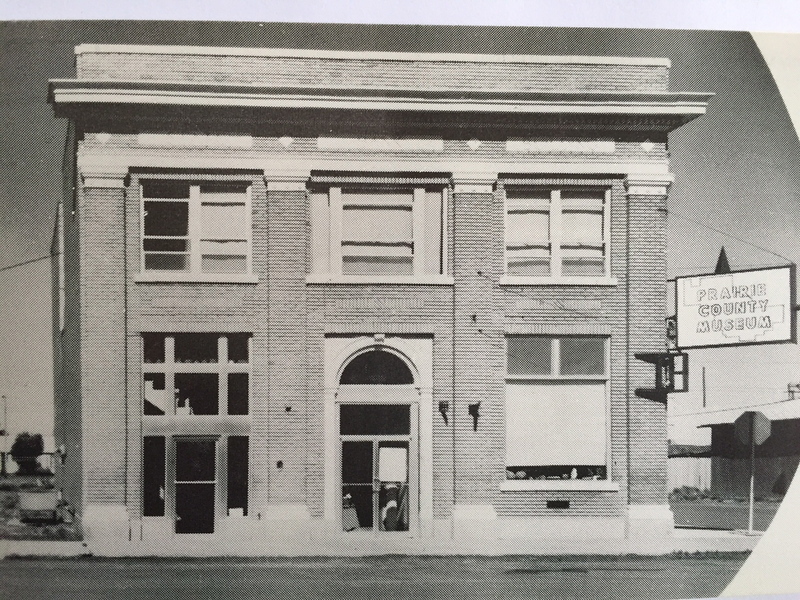 I started the project at the 1950s modernist Montana Historical Society building next door to the state capitol. I ended the project at a far different environment, one of Helena’s downtown historic buildings, just off from Last Chance Gulch. Helena then was a small town but a big urban environment, and I used to enjoy exploring its two sided urban landscape: the 1970s “Last Chance Mall” where planners and designers closed the street for a few blocks and inserted a pedestrian mall, thinking that a “walking mall” experience would keep businesses downtown, and then the rest of the downtown before urban planners decided to change it into something it never was. Don’t misread me–I spent many, many hours in the town’s Last Chance Mall, and at first I thought it quite brilliant, because as the historian I liked the fact that the walking experience was distracted by various interpretive pieces, depicting cattle drives, placer mining, and early 20th century urban life. But soon enough I was like long-time residents–the sculptural and interpretive elements were nice enough for tourists–it was the surrounding historic brick environments that proved much more fascinating, and lasting. in an Italian Renaissance-styled landmark designed by federal architect James Knox Taylor and constructed in 1904. That building would become a new city-county municipal building, still with a downtown post office. The pedestrian mall on its west side ends at the imposing Richardsonian Romanesque styled T.C. 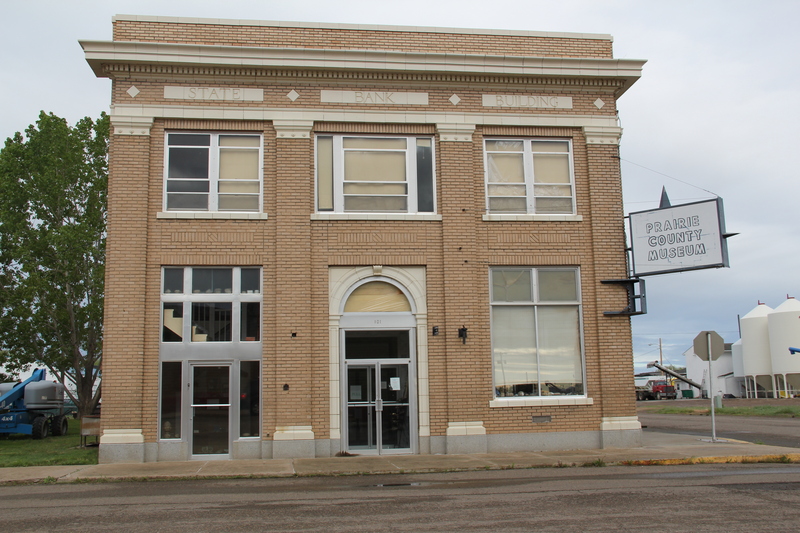 Power Block, one of my favorite commercial buildings not just in Helena but in all of Montana. Once you crossed the street, you found yet another downtown–not more historic but more architecturally diverse and without as many 1970s improvements. The gulch is the dominant corridor, with two lanes of traffic, parked cars, and all of the traffic bustle you expected in a historic downtown. This downtown has several architectural landmarks, as you see below with the Art Deco-styled First National Bank building, and then a short block away, a magnificent statement of power and influence, the Montana Club, designed by noted architect Cass Gilbert. Gilbert would gain his greatest fame later in his career for the designs of the Woolworth Building in New York City and the U.S. Supreme Court building in Washington, D.C. The Montana Club (1903-1905) comes from the first part of Gilbert’s career, where he pursued multiple design inspirations, from the Richardsonian to the Gothic to the stylish Arts and Crafts approach then described as Mission style. Certainly this part of downtown has changed over the last 30 years, be it from recent, and quite necessary, preservation work at the Montana Club to jazzy new facades added to commercial blocks along the way. A whole different world, one of the 21st century, beckons when you walk through the Hill park, with its controversial fountain founded by a local chapter of the United Daughters of the Confederacy, and reach the park’s intersection with Neill Avenue. modern styled neighbor, the Senator Max Baucus Federal Building. In less than 40 years, the federal presence not only moved from one end of the gulch to another, it had become much larger and architecturally distinct. All that remained from the Helena I recalled from 1985 was the Moorish Revival Civic Center, a building unique in an architectural style but one that still serves as community gathering spot for the arts and music. Here I experienced the Johnny Cash Show in the early 1980s, among other concerts and events. Downtown Helena now has four layers, and the surrounding neighborhoods had changed too–as we shall explore in future posts. All of Glacier National Park is spectacular, frankly, but as you reach Logan Pass and consider the historic architecture on the east side of the park, often the landscape itself overpowers the man-made environment, be it the modernist visitor center at Logan Pass, above to the left of center of the image, or the Many Glacier Hotel on the north end of the park, below. The manmade is insignificant compared to the grandeur of the mountains. The reverse is true at East Glacier, where the mammoth Glacier Park Lodge competes with the surrounding environment. The massive log hotel was the brainchild of Louis Hill, the president of the Great Northern Railway, who wished for a building that could mirror the earlier 1905 Forestry Hall for the Lewis and Clark Centennial Exposition. Hill had the vision but architect Samuel L. Bartlett of St. Paul, Minnesota, carried the vision into an architectural plan. The lodge is impressive however you consider it and it served as a trend setter for the image that Hill wished to give visitors to his newly designated national park. The huge main lobby, grounded in imported Douglas firs from the Pacific Northwest, brings the loftiness of the park to the interior of the hotel. The lodge proved popular with train travelers and additions came as early as 1914-1915, with further expansions due to the demand from automobile travelers on U.S. 2. But the long landscaped walkway from the Glacier Park Lodge to the Great Northern passenger station, also themed in Rustic style, let everyone know who was in charge–the railroad, whose influence created the national park and then built the facilities that defined the look of the park for the next 100 years. And the trains continue to arrive throughout the summer, bringing tourists to this iconic mountain National Historic Landmark. for places to rest, relax, and enjoy the precious hours away from the workplace. So much has changed in Anaconda since the closing of the smelter in the early 1980s–but the town’s distinctive places for recreation and relaxation remain, a big part of the reason Anaconda is one of my favorite places in Montana. intact. It was a favorite jaunt in the 1980s to go to Anaconda, take in a movie at the Washoe and then cocktails at the Club Moderne. The interior design is attributed to Hollywood designer Nat Smythe. A drink after the movie: still happens with regularity in Anaconda, due to the plethora of neighborhood bars, from the Anaconda Bar to the Thompson Bar. The range of sizes and styling speaks to the different experiences offered by these properties. The Locker Room Bar has a classic Art Deco look with its green glass and glass block entrance while the JFK Bar documents its date of construction while the rock veneer on concrete is undeniably a favorite construction technique of the 1960s. If not the bars, then you could retreat to your fraternal lodge or veterans group. 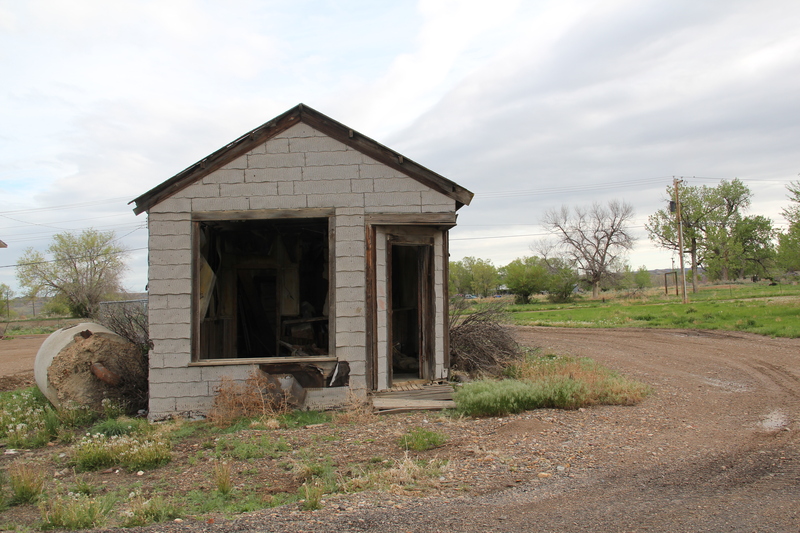 Fraternal lodges were everywhere once in Anaconda and several historic ones still survive. The Croatian Hall, unassuming in its size and ornament, is one of the most interesting lodges on the east side, in the old “Goosetown” working-class part of Anaconda. Sam Premenko established the club in Anaconda’s early years. The Elks Club in the heart of downtown is a totally different statement, with its sleek 1960s modernist facade over an earlier turn of the century Victorian styled brick building reflecting a more prosperous and larger membership. 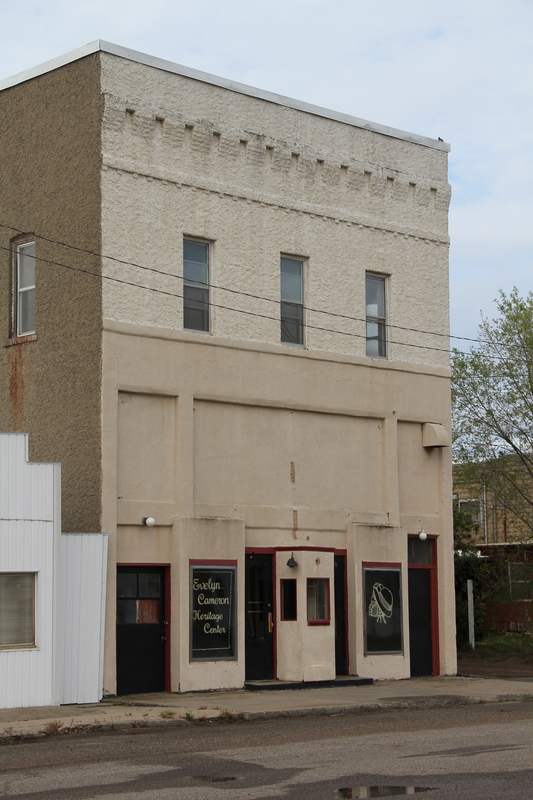 With its glass block entrances and windows, the American Legion lodge seems like another lounge, but the American Eagle mural says otherwise. The Copper Bowl is a wonderful mid-20th century reminder of both the raw material that fueled Anaconda. 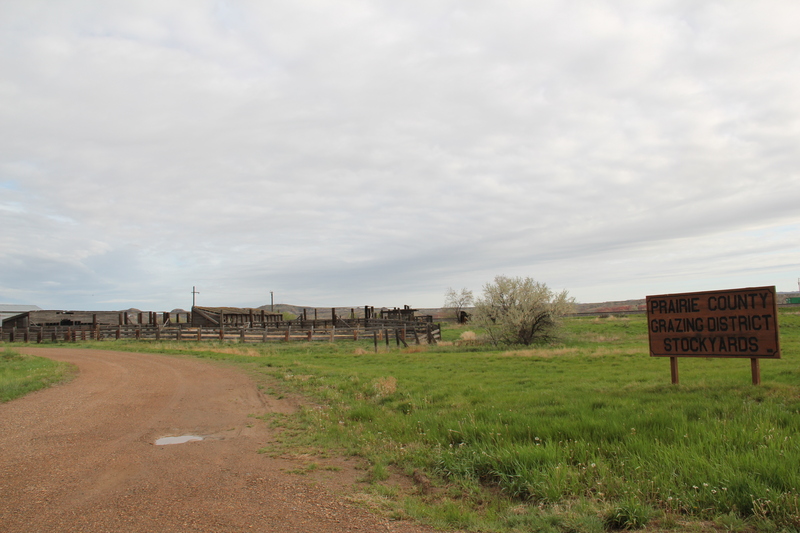 From the highway sign–a great piece of roadside architecture itself–you can see the slag piles from the smelter. Bowling, so popular once, is disappearing across the country, except in Anaconda, where two different set of lanes remained in business–at least in 2012. If not bowling, why not read a book. At least that was the motivation behind Progressive reformers and their initiative to create “free” (meaning no membership fees) public libraries at the turn of the 20th century. Anaconda has one of the state’s earliest and most architecturally distinctive libraries in the Hearst Free Library. Funded by Phoebe Hearst (mother of William Randolph Hearst), the library reflected a Renaissance Revival style in red brick designed by San Francisco architect F. S. Van Trees. It opened in 1898 and served as an inspiring public space, part library, part public meeting space, part art museum. is the refreshment/ recreation center, a building in the Rustic style, an architectural type associated with parks of all sorts in the first half of the 20th century. New renovations at the park have been underway, improving trails, the hatchery, and the outdoor experience plus adding public interpretation at appropriate places. The park is being re-energized but respect still shown its early elements, such as the historic Alexander Glover cabin, built c. 1865 and identified as the oldest residence in Anaconda, which was moved into the park as an interpretive site, early, c. 1920. Another outdoor recreational space that has been receiving renovation is the historic Mitchell Stadium complex, a New Deal project of the Works Progress Administration from 1938-1939. The stadium, designed to give the high school modern facilities for football and track and field, is quite the place, retaining so much of its original understated Art Deco styling. Unlike Washoe Park, here was a new public space, in keeping with the New Dealers’ faith in recreation and community, that was not a creation of the copper company for adult workers but for high school athletes. It also is a property that I totally overlooked in the 1984-85 survey. True it was not 50 years old then but it was a WPA project that deserved close scrutiny as part of the larger federal effort to improve high school education and public spaces. Certainly one of the most interesting conversions of industrial landscape into recreation landscape–on a whole another scale from the rails to trails movement–is how the grounds of the original smelter site at Anaconda have been transformed into a modern golf course. Rare is the opportunity to play a round but also walk around and consider public interpretation of a blasted out mining property. But even on the links of this innovative adaptive reuse project you cannot escape the overwhelming presence of the copper company stack, and mounds of devastation it left behind. Here is an appropriate view that sums up the company influence on the distinctive place of Anaconda. 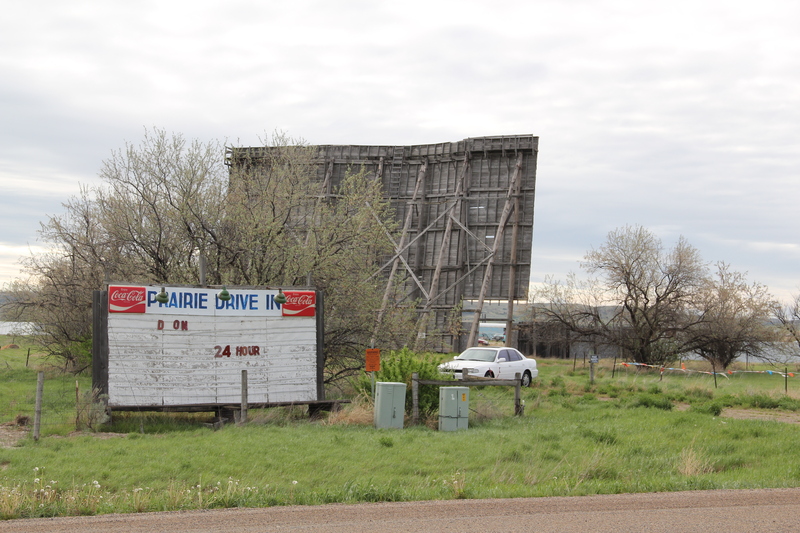 Terry, the seat of Prairie County, has long been one of my favorite places in the Yellowstone Valley. Stuck between the much larger, and more famed, Yellowstone towns of Miles City (to the west) and Glendive (to the east), Terry has somehow developed and kept its own identity as a western place, and landscape, that still speaks strongly to the patterns that transformed the region over the last 150 years: railroads, homesteading, cattle, and town building. 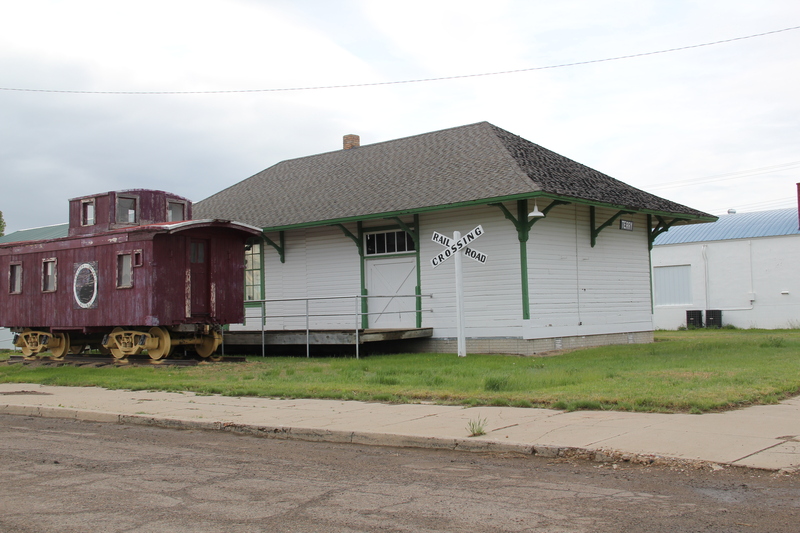 In 1984 I focused on the railroad imprint on the town, which began in the early 1880s as Northern Pacific officials understood the need for a railroad stop at place near the confluence between the Yellowstone and Powder rivers. 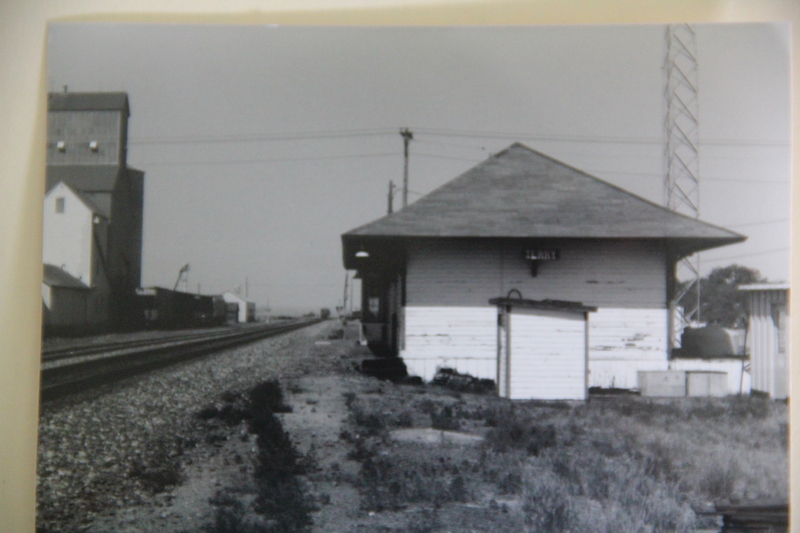 In 2013, however, the depot was gone from the tracks but not the town. 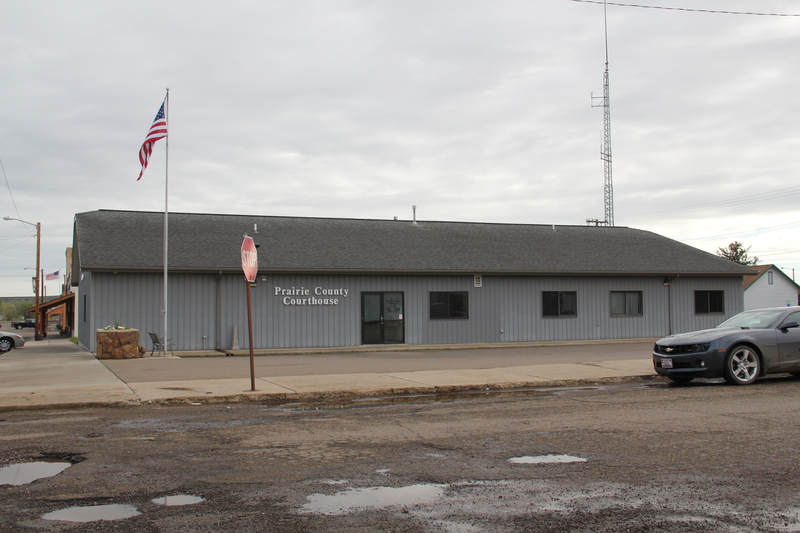 It had been moved to become part of the solid Prairie County Museum, a local institution that was still quite new when I first visited in 1984. Located in the town’s most prominent neoclassical bank building from the 1910s, the museum was a place where I held a public meeting about the preservation plan process and found a community totally engaged with its past. The museum highlights agriculture and ranching, and includes the Evelyn Cameron Gallery, which displays and celebrates the life and contributions of this important western photographer. One change I noted last year was the creation of the Evelyn Cameron Heritage Center, on Laudre Avenue just a few yards away from the museum, which is at the crossroads of Laudre and Logan Avenues. Why was Terry different? It is the impact of the Milwaukee Road as it built through the valley in 1906-1907. In 1984 there was still a second set of tracks, and a few scattered commercial buildings, to the north of the Northern Pacific mainline. 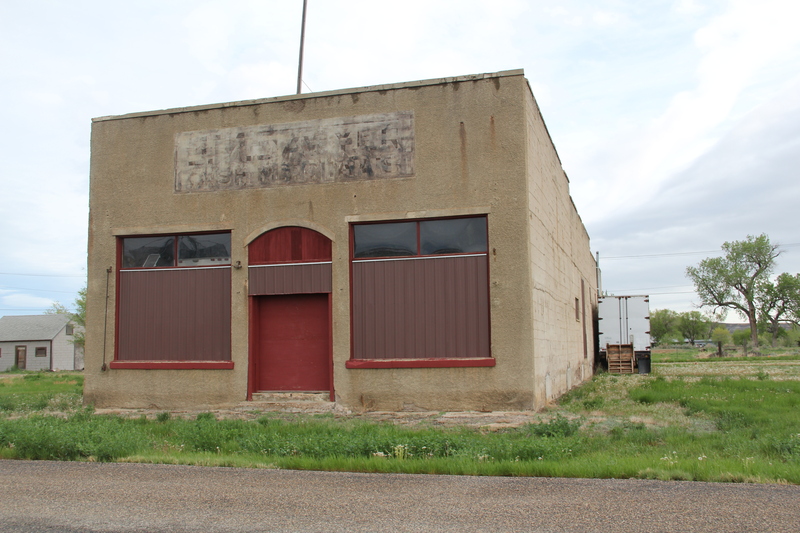 Today two buildings remain along with the roadbed that marks this second period of Terry’s growth. 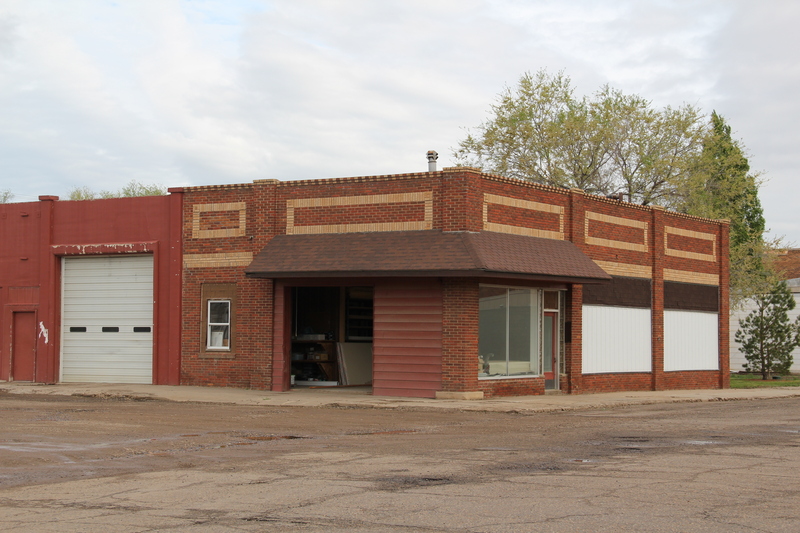 Another wave of change came to Terry in the 1920s as U.S. Highway 10 gave the town another transportation pattern. The highway’s crossroads with the original T-plan commercial artery is marked by a still extant somewhat Art Deco-styled brick gas station/ auto dealership. The most recognized roadside landmark is the Kempton Hotel, a true rarity now for this section of the Yellowstone Valley as those rambling montage of buildings that once constituted places of rest and relaxation along the nation’s highways have largely disappeared from the landscape. Then, just yards away, is another rambling montage of historic buildings, the schools of Prairie County, ranging from the large stately multi-story brick buildings of the early 20th century to more restrained modern buildings of the second half of the century. At the edge of town are three different properties, all related to the need for highway transportation. 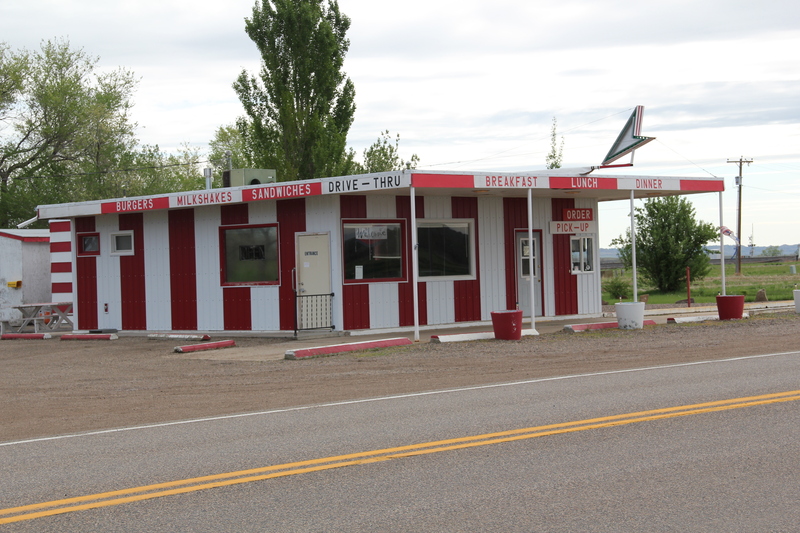 The Dizzy Diner is a classic 1950s drive-in while the crumbling Terry drive-in also speaks to past patterns in popular culture. 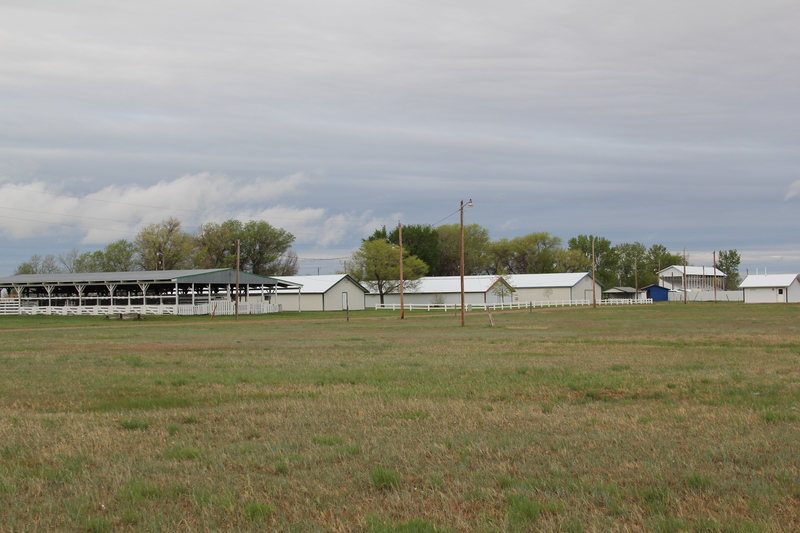 Then the Prairie County Grazing District Stockyards connects the present to the past traditions of stock raising in this region. Certainly the biggest change is Terry from 1984 and 2013 was the transformation of the county courthouse. 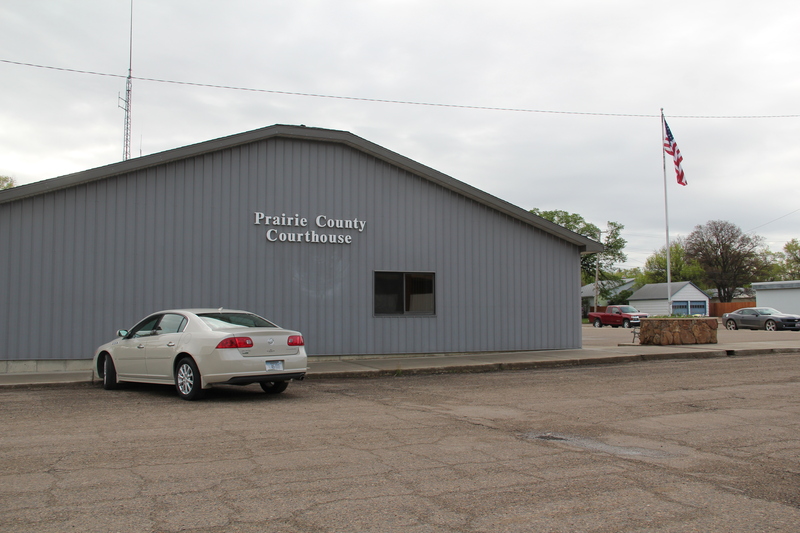 In 1984 I was shocked that there was only an unadorned concrete block building for the courthouse, and I have shared images of that building across the country. Well the concrete block building on Logan Avenue is gone, replaced by a much larger, still unadorned building for local government. Terry’s population has dropped by a third since my first encounter with the town in the early 1980s. 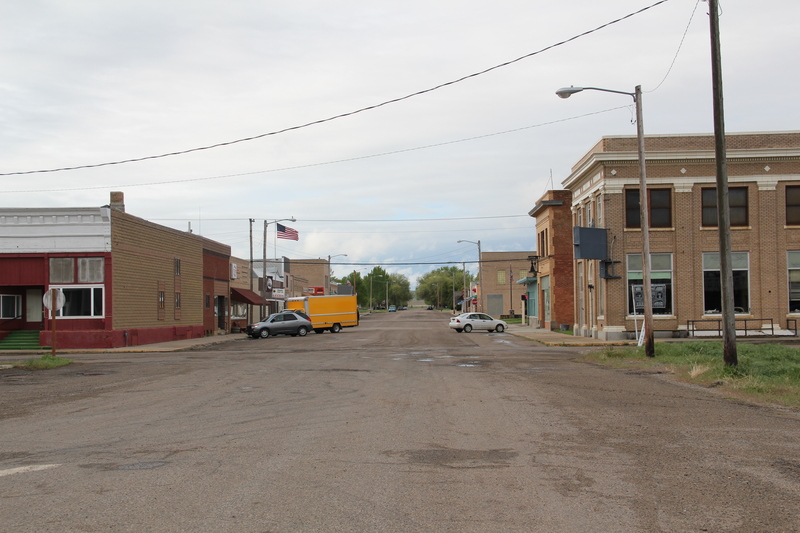 But new public investment, and a still commercially relevant “downtown” speaks volumes to the residents’ commitment and faith in this small yet significant Yellowstone valley town.